Multiple Sclerosis--the vascular connection: Scientific misconduct? The negative Canadian CCSVI diagnostic study, lead by University of British Columbia neurologist Dr. Anthony Traboulsee and published in The Lancet, did not utilize the original scientific protocol of Dr. Paolo Zamboni. This new study displayed even further arrogance and audacity, by deviating from all other published venous and arterial studies, utilizing a false criteria to assess jugular vein stenosis. 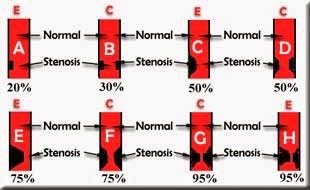 Stenosis is routinely measured by comparing the narrowed segment to the adjacent normal section of vein or artery and expressing this as a percentage. This is the accepted way to measure stenosis. All international vascular researchers use this method. It is published in vascular textbooks, which is where I found this diagram. This is how Dr. Zamboni quantified stenotic jugular veins in CCSVI. But the Canadian neurology study did not do this. Instead, UBC researchers created a brand new measurement to quantify stenosis using the full length of the jugular vein. This method has never before been utilized in published vascular studies. And when Dr. Zamboni pointed this problem out, the Lancet refused to publish his response. 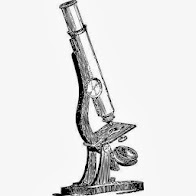 The very first step in the scientific method is replication of results. When a scientist comes forward with a new discovery, other scientists are asked to look at the evidence. In order to do this, the original scientific protocol must be followed. This means that scientists collaborate with each other. They enter a dialogue with the discoverer of new information. They talk to each other, discuss diagnostic and treatment protocols. They are open, they do not have agendas. This step in the scientific method is recognized the world over. It is part of the critical process used to further evidence-based research. When this doesn't happen, the scientific method does not work. Fraud and deception are the result. 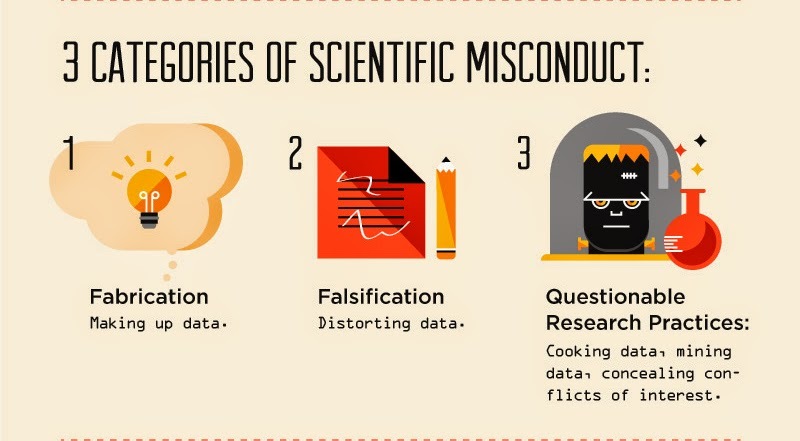 This is called scientific misconduct. "Deviations from the planned protocol can affect the validity or relevance of a study. The most important component of critical appraisal is careful assessment of the study design; however, other steps, such as evaluation of the statistical methods used, interpretation of the findings and potential conflicts of interest are also essential." Not only did the Traboulsee et al CCSVI study not utilize the original protocol by Dr. Zamboni, the investigators refused to speak with the protocol designer. They would not respond to his requests for input, and they did not respond to his comments on the erroneous study. They went ahead with a poorly designed study, and published their results as the "final word" in CCSVI. This is an egregious betrayal of the scientific method. The medical journal, The Lancet, refused to publish the response of the original protocol designer. However, Dr. Zamboni's response is now linked on pub med in the comments section. Here is the truth. Dr. Zamboni responds to the errors of the Traboulsee et al study, "Prevelance of Extracranial Venous Narrowing" which is now published in a venous journal. My comments will be in parentheses. Last January The Lancet published the article by Traboulsee et al. Prevalence of extracranial venous narrowing on catheter venography in people with multiple sclerosis, their siblings, and unrelated healthy controls: a blinded, case control study. These Authors confirmed the presence of chronic cerebrospinal venous insufficiency with a high prevalence of about 70% in the Canadian population, but without significant differences between patients and healthy controls, yet. However, they used a criterion never published to assess stenosis, in alternative to the classic measurement of the diameter in the segment immediately preceding the narrowest point. Traboulsee et al. measure the stenosis along the entire length of the internal jugular vein, by comparing the maximum diameter with the narrowest point. It has been demonstrated, from normal anatomy findings, how the jugular bulb diameter normally exceeds 50% of the minimum diameter of the internal jugular vein, clearly showing the reason why Traboulsee et al. did not find significant differences between people with multiple sclerosis, their sibilings, and unrelated healthy controls. Furthermore, as the outcome measure of Traboulsee et al., wall stenosis is a neglected part of primary venous obstruction, because in the majority of cases obstruction is the consequence of intraluminal obstacles, as a considerable part of truncular venous malformations, and/or compression; rarely of external hypoplasia. Finally, several recently published methods can be adopted for objective assessment of restricted jugular flow in course of chronic cerebrospinal venous insufficiency, by the means of non invasive magnetic resonance imaging, ultrasound and plethysmography. This may help us in improving the assessment of cerebral venous return in the near future. It is a dark time for science. While neurological journals and researchers rule the MS dialogue, the science of the endothelium, venous function and cerebral blood flow are relegated to "death knells", "closed caskets" and "final words" in neurological publications. Researchers refuse to speak to specialists in other fields. Comments from the scientist who discovered CCSVI are not published. False diagnostic criteria are created. The death knell rings, not for CCSVI, but for the public's' trust. And yes, there are serious conflicts of interest. Here are Dr. Traboulsee's funding diclosures. Here are three new studies---published just this past month, two from Canada, ALL finding a connection to the vasculature and multiple sclerosis. This comes from cellular biologists, who are looking for real answers into disease etiology. And their research is being sponsored by universities and governmental agencies, not pharmaceutical companies. Thank you Joan. You help explain these abstracts so well for people like me. This deception had got to stop. The few angry MS neuros in Canada have had an agenda from the get go to make sure that Dr. Zamboni's theory was set to fail. And they seem to think no one is aware of this fact! Silly narrow minded neuros. You are welcome, Shirley! When Dr. Zamboni clearly explained that the Traboulsee method of measuring venous stenosis was newly created, and not scientific...alarm bells went off. When The Lancet refused to publish Dr. Zamboni's comment on this, it became apparent (at least to me) that there was a violation in scientific conduct. We'll see if there is a case to be made--in or out of the court. As you note, the real tragedy here is not CCSVI, it is that every instance like this further undermines trust in scientist and physicians who call this "Evidence Based Medicine." It is only going to stop when the public mistrust starts translating into declining sales for products built on bad science. Agree, Edward. This is tragic on many levels. Sadly, the newly diagnosed provide a continuing stream of "customers" for MS drugs. I also feel for those who know they have significant venous problems, and cannot be treated. My husband is going on SIX years with improved venous flow, and he is enjoying great health; still jogging, working, with no MS progression. Thanks Joan for speaking up. Great explanation, Joan! I guess "they" think everybody can be fooled all of the time! I'm so glad the real experts are paying attention and moving on with credible research! If the scientific process means nothing, then who ARE we to trust? It brings everything into question. I fear Pandora's box has been opened. Very sad day. Excellent exposition Joan. Factual and intelligent as usual but I am very impressed you had the courage to call this misconduct as it surely is. I feel strongly we must do something to correct the nonsense he has published and I am also very worried about his current venoplasty study. I fear for the safety of anyone who signs up. This man does not believe CCSVI exists and has demonstrated he doesn't know how to identify it. So how will he know where to place his balloons? Just pick a random spot in the IJV? That's more or less what would happen if he used his test for narrowing. And how will he size the balloons? He refuses to speak to IRs with experience who do know how to do it. It is well known that beginners are prone to both over and under inflate. He is going to do damage and/or fail to achieve anything worthwhile. He will call his ignorant butchery a triumph and then say venoplasty is worthless and wash his hands of the mess he has made. I think there is real danger here and he needs to be stopped. We should start a campaign to stop people signing up or to stop the trial going ahead. Thanks---We have to let the scientific community and patient community know about this grave error.